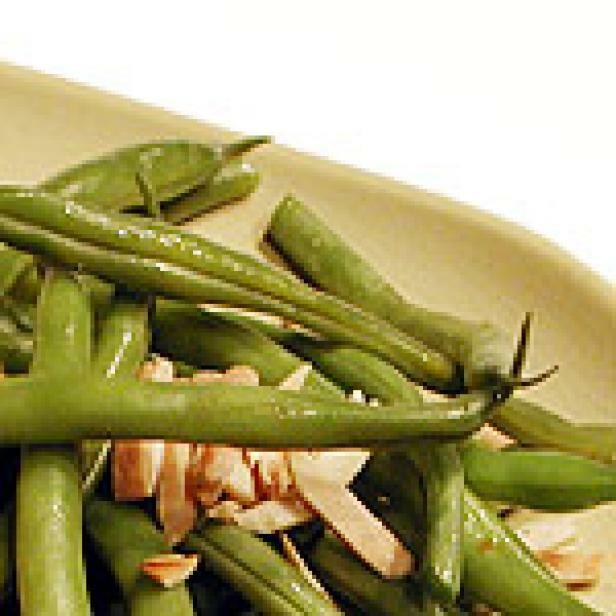 Good old-fashioned green beans are always a main stay around our home. The toasted almonds add a delightful crunch. Add oil and butter pat to the pan. Toss beans in oil and melted butter. Season beans with a little California garlic salt and transfer to a serving plate.